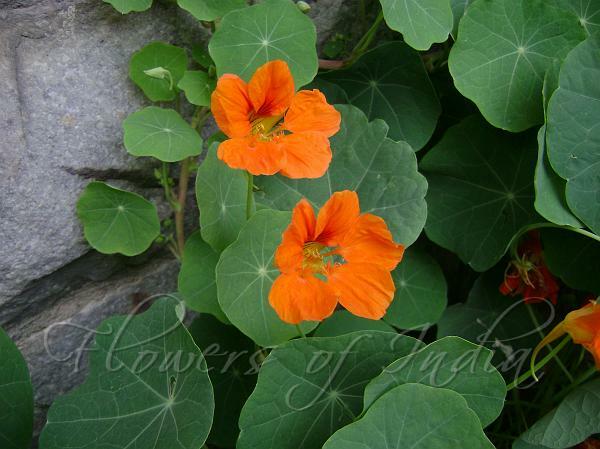 Nasturtiums are bright and happy little flowers, that even the Grinch could not help but love. 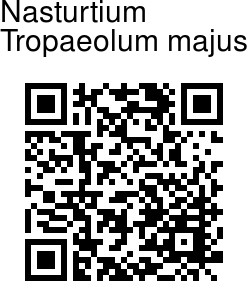 Many cultivars have been derived from Tropaeolum majus, including climbing types and dwarf, bushy types. All have rounded or kidney shaped leaves with wavy-margins. The leaves are pale green, about 2-5 in (5.1-12.7 cm) across, and are borne on long petioles like an umbrella. The flowers typically have five petals, although there are double and semi-double varieties. The flowers are about 1-2 in (2.5-5.1 cm) in diameter and come in a kaleidoscope of colors including russet, pink, yellow, orange, scarlet and crimson.